Nardwuar The Human Serviette News: Nardwuar's Video Vault on Aux.TV : July 11 ! 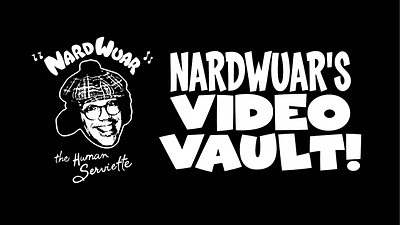 Nardwuar's Video Vault on Aux.TV : July 11 ! If you're Canada and kinda bored check out "Nardwuar's Video Vault" on Auv.tv today Sunday (July 11) on Shaw 138 at 5pm (pacific) *and* Rogers 107 at 8pm (eastern) . It's a 1HR complilation of some of interviews I have done in the past couple months. From Snoop Dogg to Figure Skater Johnny Weir to , well, a whole... bunch of other "NardVentures". Doot doo!